← It’s really toxic feminism that is the main weapon of Cultural Marxism which has destroyed American society. 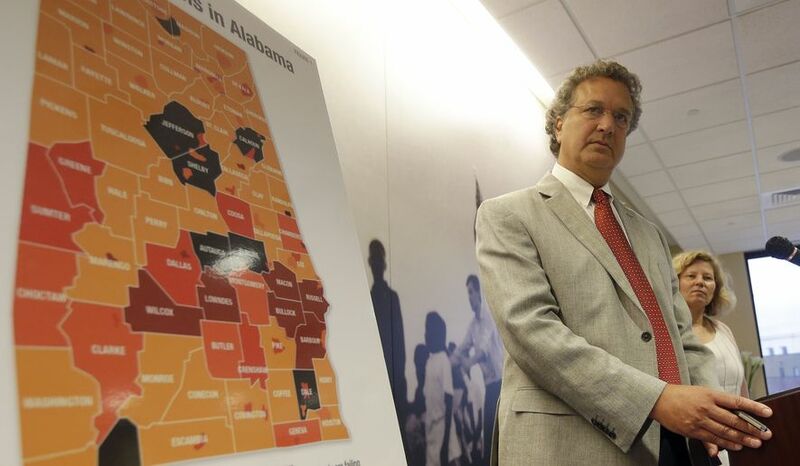 The Center for Immigration Studies is not the only group to protest the SPLC’s profligate use of the hate tag, but it appears to be the first to mount a challenge under RICO, a law that is usually associated with the FBI’s anti-mob efforts. The center says it doesn’t think its work amounts to attacks on people but rather attempts to raise policy questions. Beyond that, Mr. Krikorian said, the Supreme Court has held that being an immigrant is not an immutable characteristic, so maligning migrants wouldn’t qualify as hate anyway. The center’s work is widely cited in the press, including in The Washington Times. It issues awards for press coverage of immigration, including, in the past, to The Times. Its analysts are regularly called to testify before Congress and have been invited to meet with top security officials in the Obama and Trump administrations. The center’s work also is used by independent fact-checkers such as PolitiFact.com, which in 2017 fact-checked the SPLC’s hate designation. PolitiFact concluded that most of the evidence was guilt by association. Under the Trump administration, the center’s profile has grown. Some former staffers have been hired for government jobs, and analysts have conducted interviews with top Homeland Security Department officials in events broadcast on C-SPAN. Mr. Cohen, in a statement to The Times, said the center “richly deserves the hate group label” and he looked forward to battling the group in court. Among other evidence, the SPLC lists in its 8,000-word write-up the center’s support for mandatory E-Verify, the federal government’s voluntary program to let businesses check the legal status of potential hires. Perhaps most damning for the SPLC is the center’s association with John Tanton, whom the SPLC labels a racist. CIS counters that it is independent of Mr. Tanton. The SPLC cut its teeth on taking on the Ku Klux Klan in the 1970s and built a sterling reputation and a massive bank account in doing so. In recent years, the group has become a major player in questions of Muslim rights and the immigration debate, and it has expanded its list of haters to include groups that may have taken politically controversial stands but had not generally been accused of racism. The more expansive role also has earned it new headaches. The SPLC last year agreed to pay a $3.4 million settlement to a Muslim activist whom the group in 2016 listed among “anti-Muslim extremists.” Mr. Cohen issued a statement in June acknowledging his group botched that one. The group has been making increasing forays into activism, which can build tension with its more long-standing role as a clearinghouse for information. GuideStar, another clearinghouse for information on nonprofits, last year adopted the SPLC’s hate list and attached the label to dozens of profiles in its influential database. Among those slapped with the label was the Center for Immigration Studies. After protests, GuideStar reversed itself and removed the label from all of the 46 groups it had targeted on SPLC’s say-so. GuideStar CEO Jacob Harold said it reversed course because there were “reasonable disagreements” over the labels and because he feared for his employees’ safety after he said they received threats for relying on the SPLC’s determinations. AmazonSmile, a program by internet commerce giant Amazon to allow users to donate money to nonprofits, also has cited SPLC’s designation as a reason to terminate the account for the Center for Immigration Studies, according to the lawsuit. The center says that has cost it at least $10,000 in donations. Because it doesn’t meet the SPLC’s definition of a hate group yet the SPLC uses that label online, the center said, it amounts to wire fraud in violation of RICO. RICO has been used to settle other thorny political clashes, including by the National Organization for Women, which in the 1980s and 1990s filed civil RICO claims against pro-life activists at abortion clinics. The National Organization for Women said the protesters’ actions amounted to extortion and asked for triple damages allowed under RICO. Decades of litigation produced a mixed outcome.